Ashley Kirsner, Skip the Small Talk founder, leading a gathering at Aeronaut Brewing Company in Somerville. Some young professionals are going online or logging onto Facebook looking to join groups organized around a decidedly low-tech entertainment: having conversations. On a recent Wednesday evening, in the back room of Aeronaut Brewing Company, some 60 people gather in groups around tables or sit cross-legged on the floor. They sip beer, and chat, their voices filling the cavernous industrial space near Somerville’s Union Square. Then Ashley Kirsner asks the crowd to stop talking and close their eyes. “Think about the interaction you just had,’’ she begins. “Raise your hand if you wish you’d shared more.” A few hands go up. “Raise your hand if you wish you’d shared less.’’ Again, a few hands rise. “Raise your hands if you wish your partner had shared less.’’ This time no one raises his or her hand. Welcome to Skip the Small Talk, Kirsner’s brainchild with a challenging mission: stimulate meaningful conversation and connection among strangers. It is one of the mostly informal, loosely organized groups that have arisen to fill a hunger for community and actual human interaction in an era chock-full of options for virtual ones. 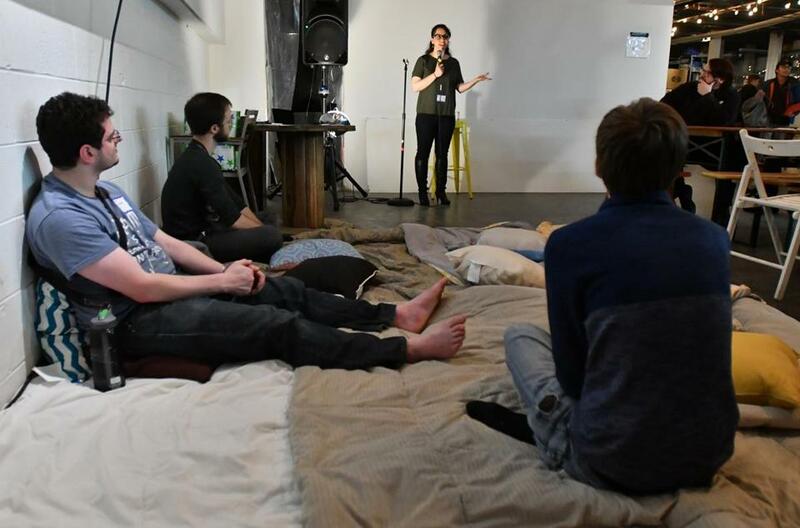 Skip the Small Talk hosts events where “you can push your comfort zone” and “feel safe talking about the things you actually care about,” according to the Facebook invitation for the recent gathering. Over two hours, in various combinations, participants are prompted to discuss personal questions with people they’ve likely never met before. “What are you proudest of?,” “What sorts of things make you feel the most cared about?,” and “Tell me about a time you had to overcome an obstacle” some of the conversation-starting cards read. 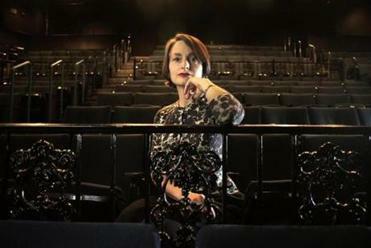 Christina Bevilacqua is the conversationalist in residence at Trinity Rep in Providence. Which is ... what, exactly? Turkle is the author of “Reclaiming Conversation: The Power of Talk in a Digital Age,” and her book examines how we got here and what we can do about it. “I don’t know how we will warm to coming together with the express intention to ‘just talk,’ ” she said. For now, Skip the Small Talk participants seem pretty comfortable with the directed conversations. The monthly gatherings launched last fall; the next is scheduled for March 22. To make participants feel more at ease with opening up, Kirsner, a self-described “total psych nerd,” created a format and serves as facilitator. The former research assistant at the Harvard Decision Science Lab and Boston University’s Psychotherapy and Emotion Research Lab devised rules: Each “speaker” talks for a few minutes, while their partners play “listener”; then they switch roles. A strict time keeper, Kirsner hops onto the mike to say when it’s time to find a new conversation partner or group. No interrupting the speaker, and no worrying “Am I being interesting enough and charming enough?” Just talk, and then listen. Other groups meet in smaller numbers with less structure. Tea With Strangers brings together a handful of people at a time, usually at a restaurant or coffee place, with a volunteer who plays host; the outings typically run a couple of hours. Tea With Strangers was founded by Ankit Shah, 25, in 2014. Events have taken place in more than 15 cities, and groups are currently active in Boston, New York, the San Francisco Bay Area, London, Chicago, and Washington. Shah estimates about 8,000 people have been drawn to 2,500 tea times. “Everybody is a stranger, and nobody is a stranger,” says Shah, via telephone from San Francisco, where he lives and works. “Our hope is to create gatherings that reveal our shared humanity to one another,” regardless of background, appearance, race, and ethnicity. “I was genuinely surprised by the amount of deep stuff people have shared to strangers — some things their friends probably won’t even know,” says Jiaorui Jiang, 22, in an e-mail. The marketing intern from Everett has been to 11 of the teas, which typically take place a couple of times a week. 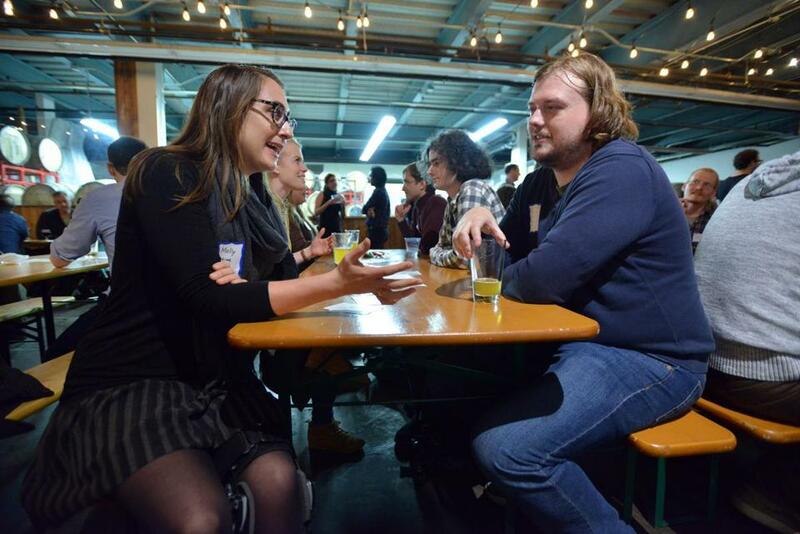 Molly Lunn and Evan Hatten, both of Somerville, at the Skip the Small Talk event at Aeronaut Brewing Company. For now, for some, these events work their connective conversational magic, if but for a few hours. An earlier version of this story incorrectly noted which question posed by Ashley Kirsner elicted no response from the group. Ethan Gilsdorf, author of “Fantasy Freaks and Gaming Geeks,” can be reached at ethan@ethangilsdorf.com or on Twitter @ethanfreak.